Ms. Joubrina is a director for CarVal Investors, responsible for managing investments in European loan portfolios. 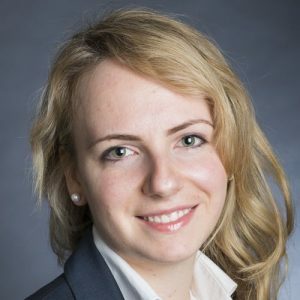 Prior to joining CarVal in 2013, Ms. Joubrina was with the Royal Bank of Scotland, responsible for origination and structuring of asset-backed, structured funding, capital and derivatives solutions for Southern European financial institutions and covered bonds globally. Prior to that, she worked at ABN AMRO on the Emerging Markets team and covered structured funding products. Ms. Joubrina received her M.Sc. in finance from London Business School.